Our Lobster Tank Preventive Maintenance Programs are available in 3-Month (4X per year), 4-Month (3X per year), 6-Month (2X per year) and 12-Month lengths (1X per year). The PM Service carries a flat fee per visit and the fee includes labor and travel. Clients under PM contract enjoy cost savings on reactive labor and travel rates. In over two decades of operations, Crystal Clear Aquarium Service offers an extensive background in aquarium engineering, estimating, fabrication, maintenance and repair. Our team of technicians is a very talented group of individuals, personally trained by Anthony and each has been with the company for over 15 years, for a combined 70 years of experience. 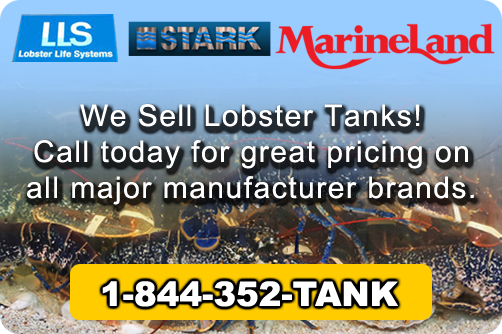 Crystal Clear has provided superior lobster tank and produce mister service for well known retailers up and down the East Coast. Some of our clients include Giant Food Stores, Martins Food Stores, Wegmans, Weis Markets, ACME Markets, Shoprite Stores and many privately owned fresh markets and restaurants. 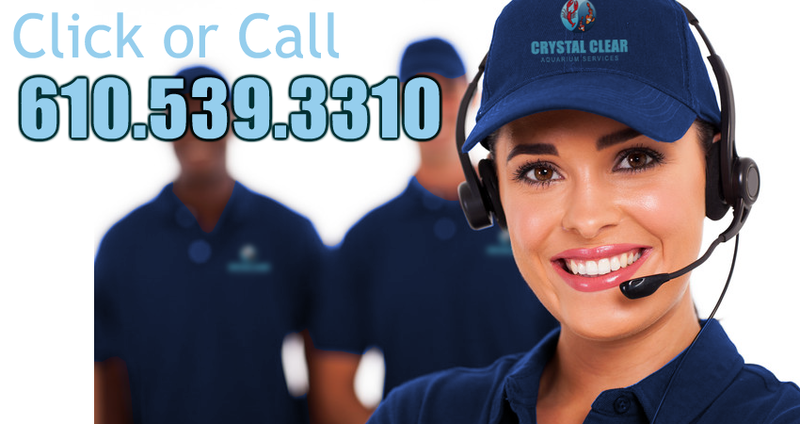 Crystal Clear is committed to the satisfaction of every customer we service. If we have not exceeded your expectations on service, please contact our office so we can make it right. It's our commitment to you. The importance of proper technique, attention to detail, effective management, and an uncompromising standard of quality are ways Crystal Clear Aquarium Service will efficiently save your company time and money, for a more profitable Seafood Department. With this in mind, we recommend scheduled preventative maintenance of your lobster tank every 3-6 months, to maintain proper operation of your unit. In addition to cleaning and checking all vital parts, our expertly trained technicians are qualified to work on any plumbing, electrical, acrylic, glass, refrigeration, or biological problems that may arise. Our technicians are also qualified to properly train your staff. These skills prevent outside vendors from being used which results in savings to you, our customer. Crystal Clear Aquarium Service takes pride in and stands behind the service we provide, which is why we only use the highest quality materials and the most advanced technology available. Our goal is to provide only the necessary service and equipment that each call requires. We do our best to accommodate your business and provide solutions as quickly as possible. Each technician arrives at a service call with complete supplies and equipment to service your tank. Due to our high volume buying power, we offer our customers competitive prices on all supplies. This enables your company’s Seafood Department to be stocked until the next service call. All service calls and appointments should be arranged through our service department. You can reach our office at 610-539-3310 or toll-free at 1-844-352-TANK. The client is responsible for the ordering and maintaining of store livestock and holding units. Crystal Clear Aquarium Service will make recommendations when requested. We are not responsible for any loss of livestock. All warranty questions and issues should be directed to the tank manufacturer. Crystal Clear Aquarium Service is not responsible for any tank leakage due to defects in design or installation. Crystal Clear Aquarium Service and its employees are fully insured through our General Liability Insurance policy. Our employees are also covered by our Workman’s Compensation and Commercial Auto Insurance policies. Certificate of Insurance will be supplied upon request. Terms of invoices will be net 30 days. References will be supplied upon request.